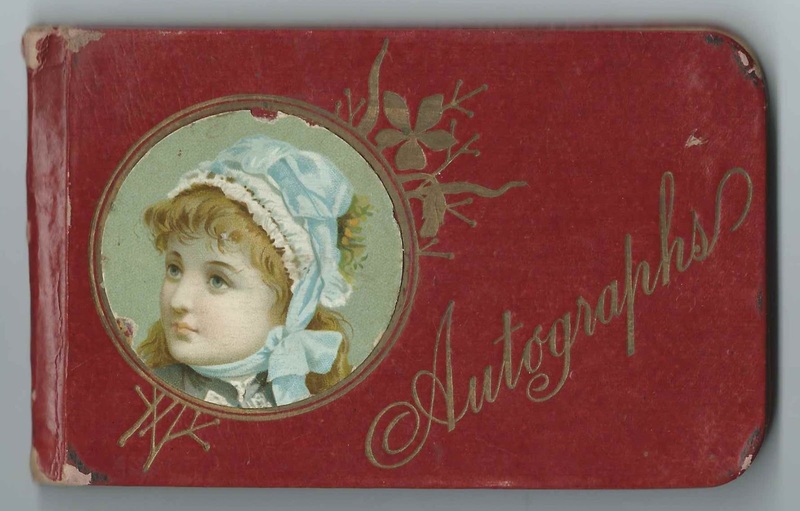 188-1889 autograph album that belonged to "Mamie", presumably a student at the high school at Southwest Harbor, Maine. The album measures approximately 5-1/4" by 3-1/4" and contains the inscriptions of eight of Mamie's schoolmates and friends. Images of those pages and an alphabetical list of their names appear at the end of this post. Readers, if you have information to share on any of the students, please leave a comment or contact me directly. Several pages have been removed from the album, including the first end paper. My guess is that Mamie's full name appeared on the first end paper and that this page and others were removed by someone interested in the genealogy of Mount Desert Island, perhaps even a descendant or relative.